A long line of people had queued up way back to the door, but he took the time to fill me in on the ills of bureauocrats, how the US government had sent him an apology, and how they wanted to meet him half way on the Peace Bridge (he declined). “Down with bureaucracy!” he grinned. Mr. Mowat turned my defeat into a victory. He welcomed me as an honoured member into an elite and respectable group. As he saw it, we had both somehow outmaneuvered the US government. What a fine moment. Thirty years later, I sit here smiling at his jubilance. You can understand why I have a fondness for this irrepressible Canadian warrior. Written by Diane Taylor, proud rejectee, and author of The Gift of Memoir. Thank you, Aggie! With big emphasis on “characters”. It’s in both pairs of eyes. Nice remembrance. I wonder how many published authors you’ve met? Good question, Carol. A few, seeing as I belong to a writers group now and most of them have been published. By the way, ran across a letter from you this morning, too! From 1990. What a wonderful connection and memory. Thanks for sharing. I am glad I kept a journal for so many years. Great way to keep track of the gems. Good to hear from you – have been wondering how things are with you and if you are writing. Pauline, I haven’t heard anything recently about moving the boat, but assume it is still in the works. A major job, I imagine. Glad you liked hearing about Farley! Such a fabulous character, Farley. And what a lovely remembrance you have written, Diane. Very enjoyable. Thanks, Cynthia. I know, they don’t make them like him any more. What a fascinating account, Dee. 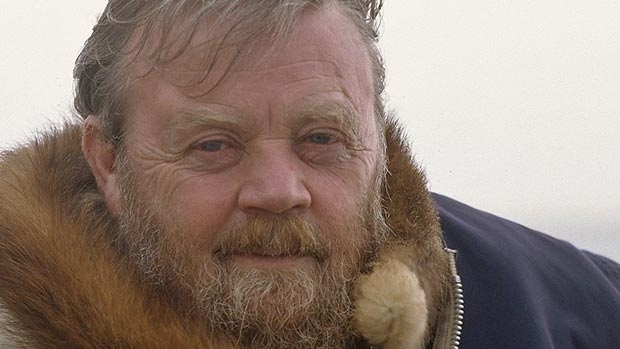 I’m a great fan of Farley Mowat’s books but didn’t know you were fellow rejects. Wonderfully told. What fun to learn, after all our years of talking about a million things, that you are a Farley fan, too. A very fine memory! And I am astounded to learn that Canadians were turned away at the border. Ah yes. easy to forget we are different countries. Believe me, I, too, was astounded! And of course, since 9/11 things are even tighter.